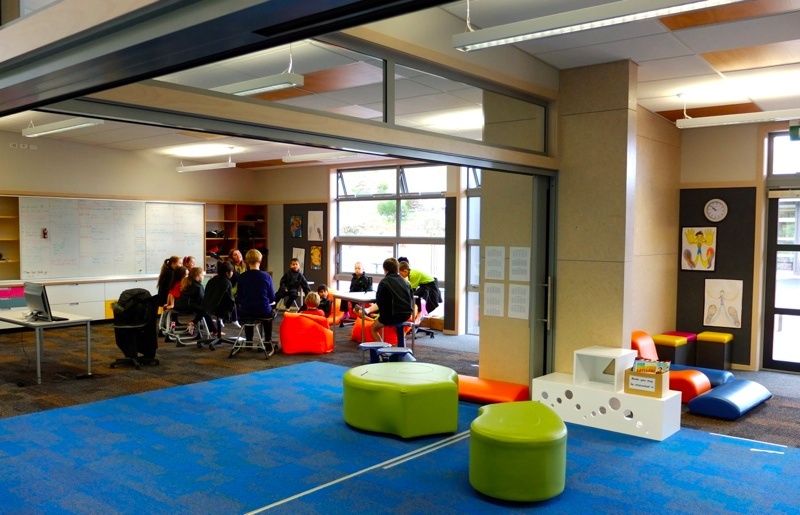 Open-plan learning spaces, with the pedagogy to match, are driving learning innovation in New Zealand schools. The new˜hubs’ thrive on increased collaboration between teachers. As I walk around, I see fewer desks, many more seating options, a range of ICTs (netbooks, tablets and large screens on the walls) and lots of natural light. Only a small amount of student work is on display” after all, there aren’t many walls” and there’s a distinct lack of clutter and noise. Teacher desks have been replaced by discreet, shared rooms for teachers (whenever I look in, students are there too, talking with staff). The school of 100 students (400 eventually) is split into two learning hubs, each with three teachers. There are no classes, and each teacher teaches a variety of groupings of children in terms of size and year range. I watch children moving between spaces, discussing their work and consulting with teachers in groups, as well as working independently. With the Ministry of Education sending strong messages about learning environments, Lesley believes all new schools will be built like this. 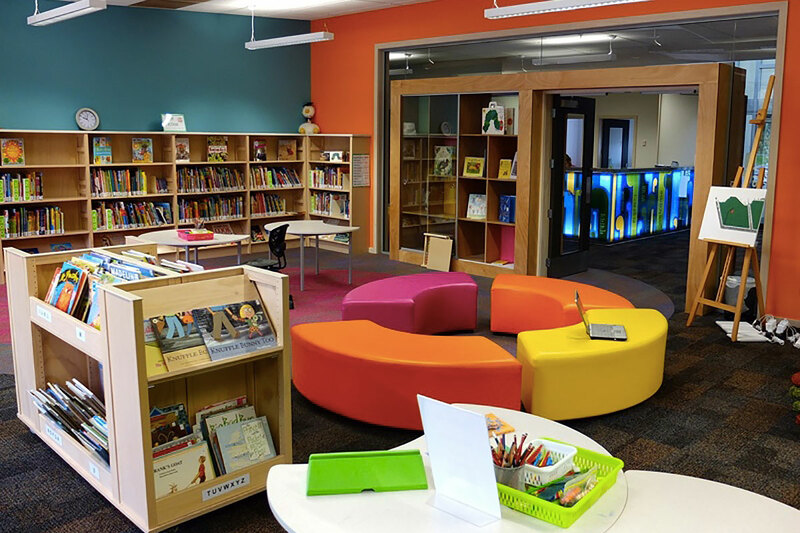 Do we need such a radical rethink of school spaces to support teaching and learning in the 21st century? Haven’t we already kicked the industrial model of the classroom” teachers imparting knowledge from the front, facing˜their’ students seated in rows” to the curb? But there’s something special about Amesbury. I’m convinced the physical environment is a contributing factor to this school feeling truly owned and occupied by the students. I do have questions, though. As a teacher friend of mine asks, aren’t some things more effectively taught in classes, or at least in groups, with a “timetable” for that knowledge? Such as solving equations or learning to speak French? How can we be sure children aren’t bypassing important learning? I ask Lesley what holds such a fluid arrangement together. How are teachers up to speed on the needs, learning and goals of each child they teach, when they teach so many? Lesley explains that strong structures underpin the flexible approach. Each child has a whÄnau teacher or “learning advocate”, who is responsible for reporting and pastoral care. They are also a first point of contact for the family. And while the school might have done away with traditional classrooms, there are still lessons and deliberate acts of teaching. Team teaching allows teachers to play to their strengths and role-model teamwork. Teachers plan collaboratively and both teachers and students get access to a wide variety of ideas and views. “Team teaching helps you be a better teacher” your work is seen and supported by your peers,” says Lesley. Student achievement data is used to identify where learners are at with their learning, and students are also developing a very clear idea of their learning needs and next steps. Lesley mentions overhearing two girls tell a teacher they need new learning goals in maths. The teacher asks them to present evidence of their understanding and then set new goals. “We are assisting students to develop strategies and capacities so that they themselves can contribute to meeting their own learning needs,” she says. Taupaki School, established in 1899 in a semi-rural setting 10 minutes over the hill from West Auckland, tells a more typical story. Taupaki couldn’t demolish their existing school buildings and start over. They’ve had to make compromises and stage their redevelopment on a very tight budget. The majority of school buildings across the country were built between the 1950s and 1970s. Taupaki’s main building was built in the open-plan era of the 1980s. “Over time this permanent block has been walled in, housed a library and included two single-cell classrooms. There’s been a lot of wasted space,” says principal Stephen Lethbridge. 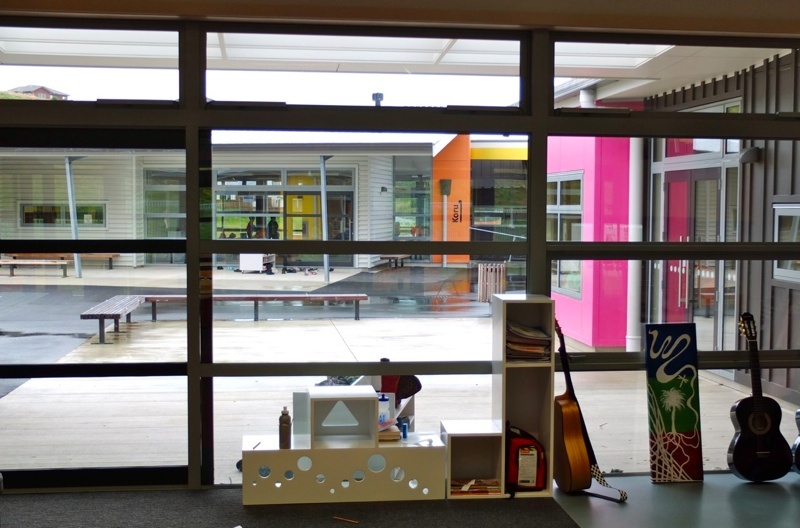 Every time the school’s roll grew, they gained a prefab. The next one to arrive couldn’t be attached to the previous one; it might be a little higher off the ground or a little lower. The result was a haphazard collection of buildings. Like Amesbury, Taupaki has taken teacher desks out of the classrooms, converting the toilets and cloakrooms into teacher commons. “We’ve made the rooms more flexible so that the small prefab footprint can be used more effectively” says Stephen. In the senior school, there are shared spaces between two groups of prefabs with decks and french doors. The years 7-8 students can move freely between the spaces. The wet areas are housed outside on the covered deck. 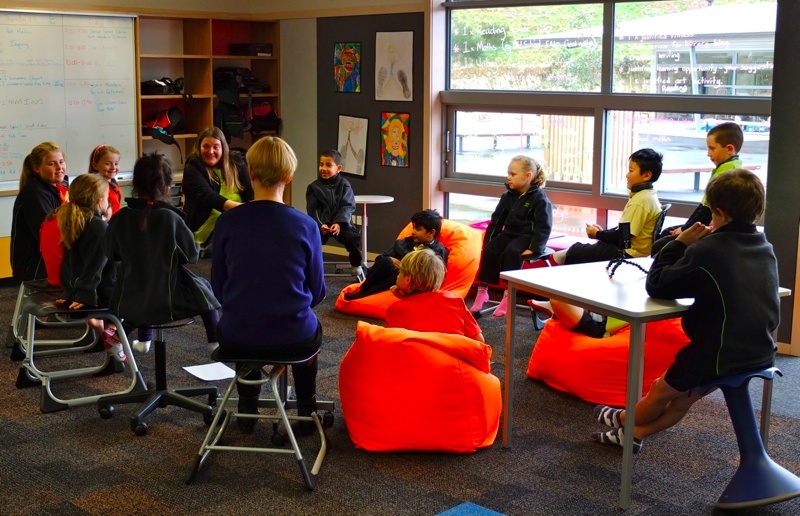 While Taupaki classrooms mostly still have four walls and one teacher, teachers are collaborating more. “We are developing our coaching model. Teachers take part in peer observations and then use facilitative questioning techniques to help them develop their own practice.” Stephen admits you can do this without opening up classrooms but the physical changes are, without a doubt, supporting the pedagogical shifts. Technology, says Stephen, is fundamental to opening up learning. Administration, assessment and planning is moving online in both schools with access for parents and students as well as teachers. “Children have a 24/7 environment to capture their learning, reflect on next steps and get feedback from parents, teachers and their peers”, he says. “Technology can take down the walls in a traditional school environment because it supports teacher collaboration and transparency across the school,” agrees Lesley. Technology gives students access to many more experts and resources beyond the classroom. As far as Lesley’s concerned, when children are reliant on adults for meeting all their learning needs, and there is only one adult per class, waiting for that adult is a barrier to learning. ICT has also made it viable to remove teacher desks from the learning spaces. “I told teachers starting at Amesbury that you won’t be bringing all your stuff with you. Teachers carry their phones and laptops with them as they move around the school, and that’s about it,” Lesley says. The success of these schools lies in flexibility and willingness of the teachers to work together.